The Humane Society of Southern Arizona is the oldest and largest nonprofit in Southern Arizona serving pets and the people who love them. We aim to make a better life for the cats, dogs and other furry friends that come through our doors, but we also aim to make a better community for everyone. We do that with a broad range of programs and services that make up the three pillars of our organization. A community in which all pets are cared for and loved. HSSA is a private nonprofit 501(c)(3) charitable organization, It is not a department of the federal, state, county or city government, nor is it a branch of, or affiliated with, any other charitable organization. 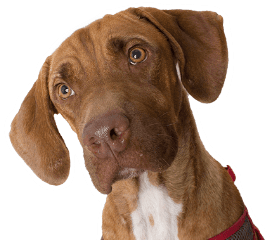 Since our founding in 1944, the Humane Society of Southern Arizona has undergone a steady evolution and become the full-service animal welfare organization it is today. Today, we work to give the best care to each homeless pet that comes through our doors. We go to extraordinary efforts to ensure all pets get care and love from our staff before they go to the homes where they will be cared for and loved for the rest of their lives. But we are so much more than a shelter. In addition to our Affordable Spay & Neuter services, we offer low-cost vaccinations to help keep the pets of our community healthy. To ensure that the lives of our community's pets continue to improve, we have an extensive Education and Outreach program to teach the importance of humane treatment and proper care of pets. Combined, these programs make up the pillars of our organization. Most importantly, we are a long-standing part of this community – one that is on a journey to create a better future for pets and the people who love them. We are thrilled to be making that journey with Tucson. The Humane Society of Southern Arizona is proud to be a leader in developing and using best practices that advance the standards of animal welfare in our community and the nation. The Humane Society of Southern Arizona was founded in 1944 by a group of concerned and compassionate animal lovers, and led by our first president, Mrs. Guerin Wilson. The Humane Society of Tucson, as it was known until 1998, initially shared space with Pima Animal Control. It took only a few years, to realize that the mission and goals of a private, nonprofit animal welfare organization, and those of a government shelter, are not the same. For much of our history, HSSA operated as a shelter whose primary purpose was taking in homeless pets and finding them homes. Over time, the importance of preventing unwanted pets from being born became apparent. In 1974, HSSA began an affordable spay and neuter program that continues to this day – with tens of thousands of pets being served each year.